The production of Zara takes place this week and we have these special behind the scene pictures of the giant baby was designed and put together for the show. Telling a story of a mother and child against the world,ZARAhas a cast of over 100 actors, an army tank, cherry pickers and 4x4s. 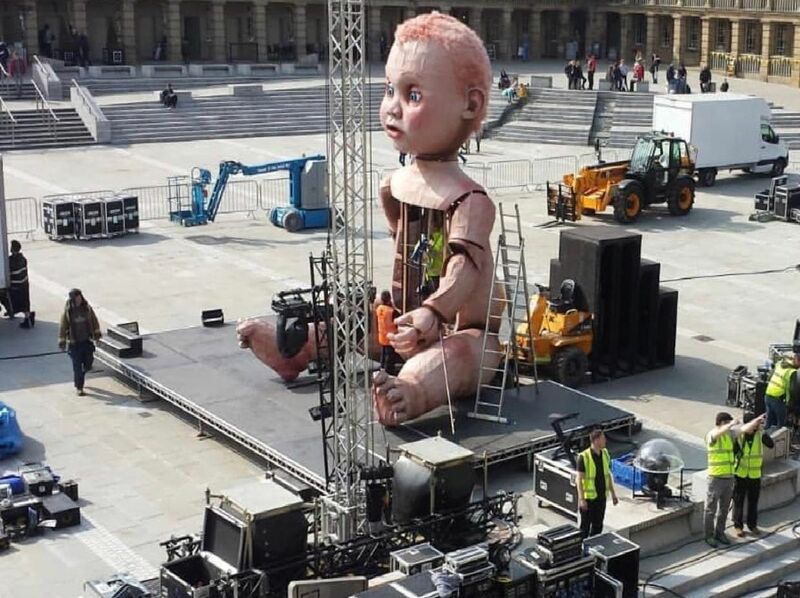 The baby is central to the production at 22 feet high, its bigger than a double decker bus and will take eight people to operate and make it come to life. The world premiere ofZARAis the creation of two of the UKs leading arts organisations Mind the Gaptheatre company and outdoor arts specialists,Walk the Plank. 3D illuminations will be projected on to the heritage building making it both a backdrop to the performance and central to the story.